I have read and agree to the Terms and Conditions and give my consent to Joshua Chamberlain Society -Nashville to process my personal data. I understand I can revoke this consent at any time. The Joshua Chamberlain Society ("JCS") is a grass roots organization formed in St. Louis with the mission of providing life-long support to veterans that sustained permanent combat injuries fighting the long war on terror for our nation. The Nashville Chapter, the first and only chapter of the Joshua Chamberlain Society, has formally adopted five heroes in Middle Tennessee to date. 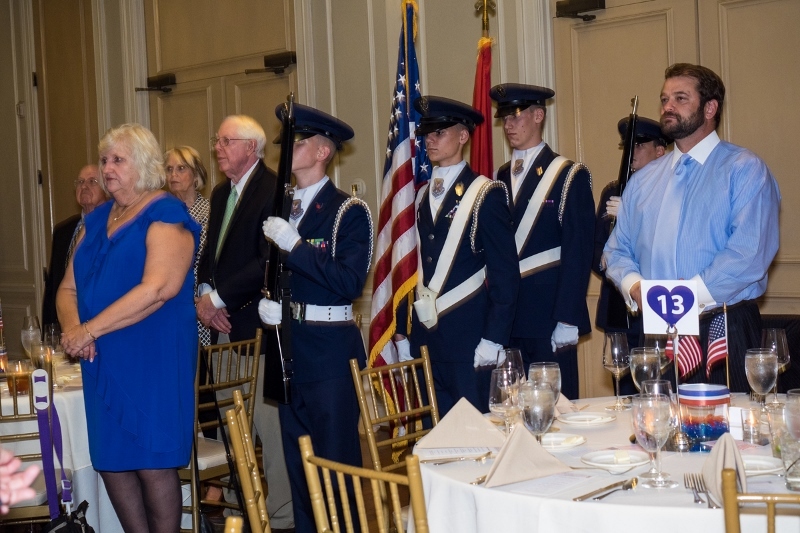 The Joshua Chamberlain Society will host their 6th Gala event on Nov. 3 at the Richland Country Club in Nashville to benefit local American heroes. The Nashville Chapter of the Joshua Chamberlain Society was founded in 2013 to honor and support severely combat injured veterans from Middle Tennessee. The JCS, "Adopt a Hero" program currently supports six heroes through fundraising events and donations to aid these soldiers for the rest of their lives. Dinner event features Hors D'oeuvres, wine, champagne, open bar and a silent and live auction. You're invited, Saturday, November 3rd, 2018 to the Nashville Joshua Chamberlain Society's Great Gatsby Gala! This year's event will be at the Richland Country Club (1 Club Drive, Nashville, Tennessee). We will have an open bar starting at 6:30 P.M., with dinner and complimentary wine to follow. There will be a live and silent auction, as well as a costume contest for the Best Gatsby Attire. Tickets are $125 each, with all proceeds benefiting our Nashville JCS heroes. Please purchase tickets by October 26th. We hope to see you there! We have added a theme this year to our Gala. Please dress up as your favorite character from the great F. Scott Fitzgerald's Play "The Great Gatsby". Prizes will be awarded for the best dressed. Event Itinerary and Details Coming Soon.